It is a bitter sweet time to be a film lover as new films from the late Philip Seymour Hoffman continue to hit the screen. The latest of them is Anton Corbijn’s slow burning spy thriller A Most Wanted Man. With the 9/11 attacks having been planned from Hamburg, the German port city has become a key counterterrorist hub in the years since. There we meet the rumpled and weary Gunter Bachmann, head of a German counterterrorism unit. Constantly butting heads with Hamburg intelligence head Dieter Mohr who want to see more arrests, Gunter is interested in playing a longer game. As he explains, it is about using the minnow to catch the barracuda, and using the barracuda to catch the shark. Both have their sights set on Issa Karpov, a mysterious Chechen refugee with past militant links, who has arrived in Hamburg seeking to claim a multi-million Euro inheritance. For Dieter, Karpov is a prize, for Gunter he is a minnow with which he can catch the barracuda he his team has been tailing for years. Being based on a John le Carré novel, A Most Wanted Man obviously does not deliver a spy thriller in the James Bond mould. There is a distinct lack of explosions, chases and action set pieces of any kind. Rather, this is classic espionage in a post-9/11 context. Corbijn’s film takes us into the morally dubious world of intelligence gathering where nothing is straight forward, nothing is black and white. We encounter rival agencies with rival motives, working together when it is convenient, and behind each other’s backs when that is. The result for the viewer is that we are left not just wondering who are the good guys and who are the bad guys, but whether there are good guys and bad guys at all. This uncertainty about who to side with is reinforced by a structure which sees us move between apparent protagonists for much of the first half of the film. It takes a while for the film to settle into a fixed point of view. The ensemble cast features a number of Americans playing Germans, while impressive German actors like Nina Hoss and Daniel Brühl are reduced to minor roles. Of the Americans, some (Hoffman) do a more convincing job with their accent than others (McAdams). Anton Corbijn, who came to feature filmmaking from music videos, is a very precise filmmaker, and in serving le Carré’s densely layered plot, he delivers a meticulously crafted film. With cinematography from Frenchman Benoît Delhomme, A Most Wanted Man is also a sharp looking film. 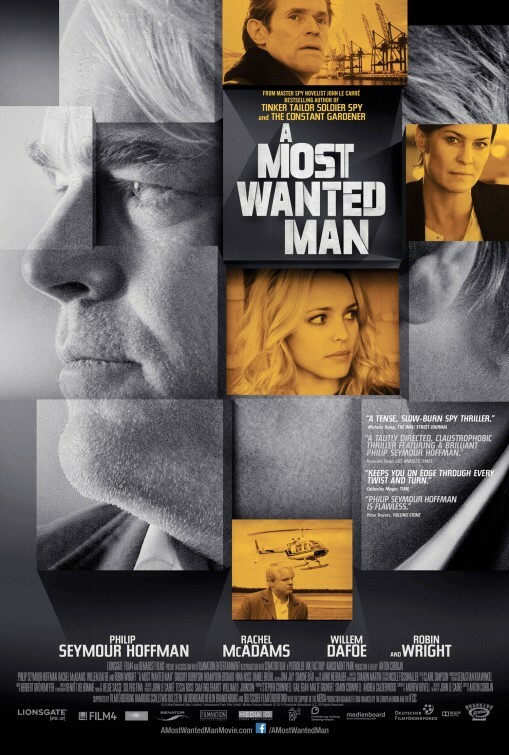 A subdued film that is at times quite slow, A Most Wanted Man is interesting without being truly compelling. Have you seen A Most Wanted Man? Leave a comment and let us know what you thought.